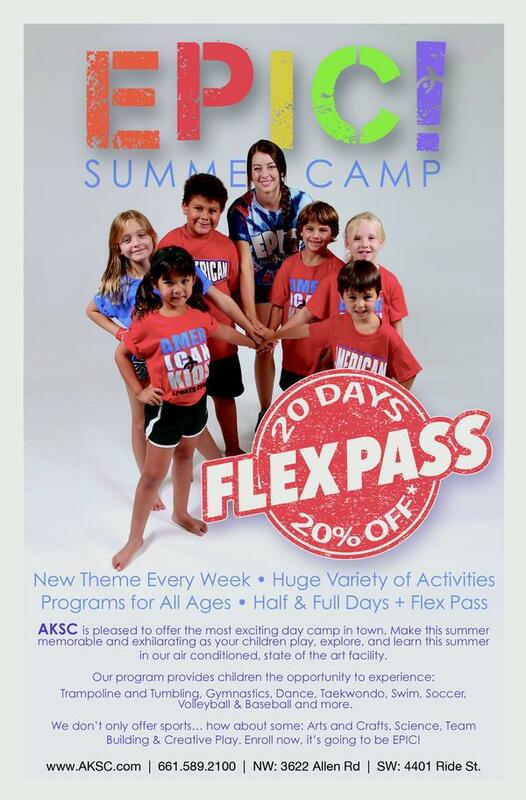 American Kids offers day camps during those school vacation/holiday days when many parents are still working. Keep your kids moving and learning all year long . EPIC! Camp is Bakersfield’s Premiere all inclusive sports/ activity camp. American Kids is two Mega-facilities of kids sports heaven. Our program is lead by an exceptional, trained staff in the most popular children’s recreational pursuits: Gymnastics, Trampoline, Taekwondo, Swim, Dance, Ninja Zone, and indoor ball games. Kids also participate in Arts and Crafts, Fun Science, Team Building, and Creative Play. So, next time your kids are out of school, but you're at work, call American Kids and ask about our American Sports Day Camps. We're Open All Day on Weekdays When Your School Closes! Summer Sport Camps during Summer, Christmas, Easter and other minor holidays. Kids want to have fun during school days off, and American Academy is THE place to have it! ** Camps may be offered at one or both locations depending on demand.